[UPDATE] VER. 1.13.0. - Release Notes & Maintenance Notice! This winter update is packed with a lot of exciting changes and improvements! Since a lot of new content will be added, the maintenance will take a bit more than our usual schedules. Release notes can be found below! We’ll post an announcement on our Facebook if there is any change to the maintenance schedule. 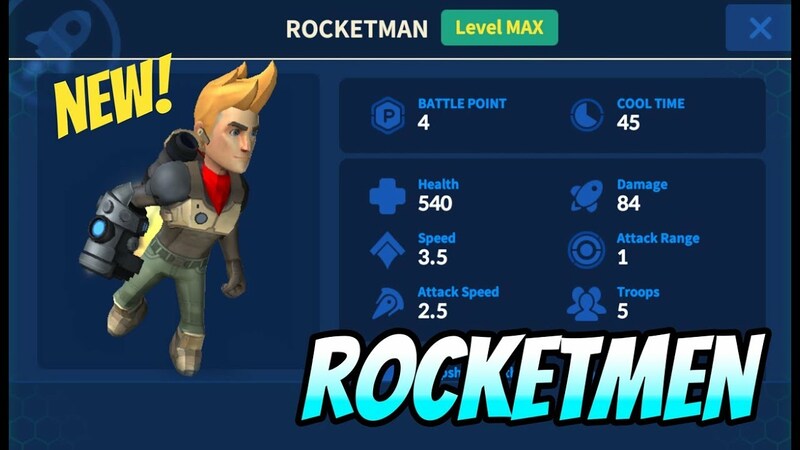 Mad Rocket will not be available to play during this time. We know that a lot of you have waited long for the matchmaking system to be improved. The issue that a lot of you had with the number of medals that can be gained/lost will be adjusted. Another issue that occurred at higher level where the total available loot being very low will also be fixed. Winter has finally arrived in Mad Rocket! The forecast says we’ll have snow that doesn’t melt! Complete missions and collect unmelting Snowflakes during 3 weeks for the Winter Festival! We’ve prepared a lot of gifts just for you! Collect as much Snowflakes as you can and get the final prize! Note: This event is scheduled start at a later time. That’s right! It’s about time that we bring new faces into the battlefield. There are not just one but TWO units that will join your team! Send out Battle Drones to clear the fog and let the Rocketmen take care of the rest! Rocketmen travel at the speed of a rocket. Canister Cannon never misses a target. The moment that an enemy gets into its radar, BOOM! Who’s got the best defense layout? And who’s got the best attack strategy? Test each other’s bases and share your strategies! Have you ever wondered which Clan is collecting the most battle stars? With the new update, you’ll be able to see which Clan has the highest star points! Do you think your Clan can be the first to reach #1?